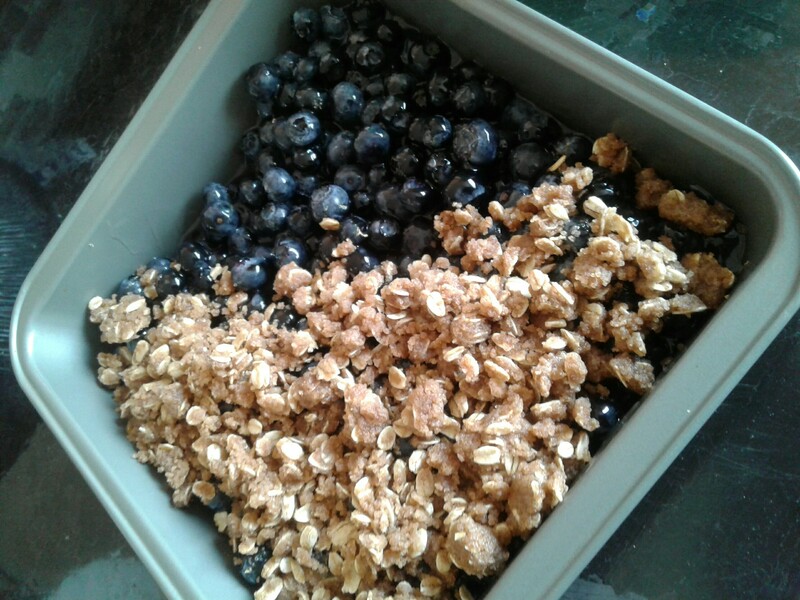 A 2-lb box of blueberries for five bucks?! That’s a steal. 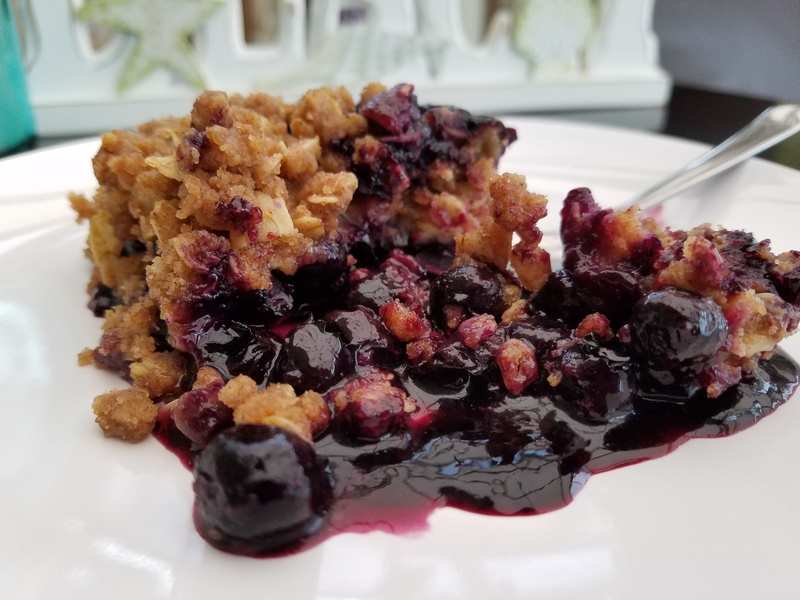 How about some blueberry crisp for dessert tonight? Every one like this recipe. 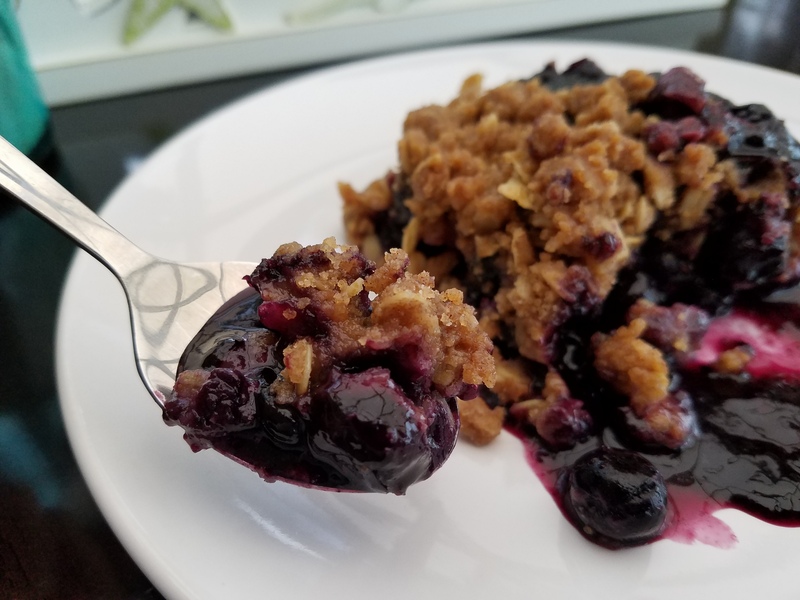 I have cut the sugar amount significantly since the berries are sweet. Adjust sweetness to your liking. 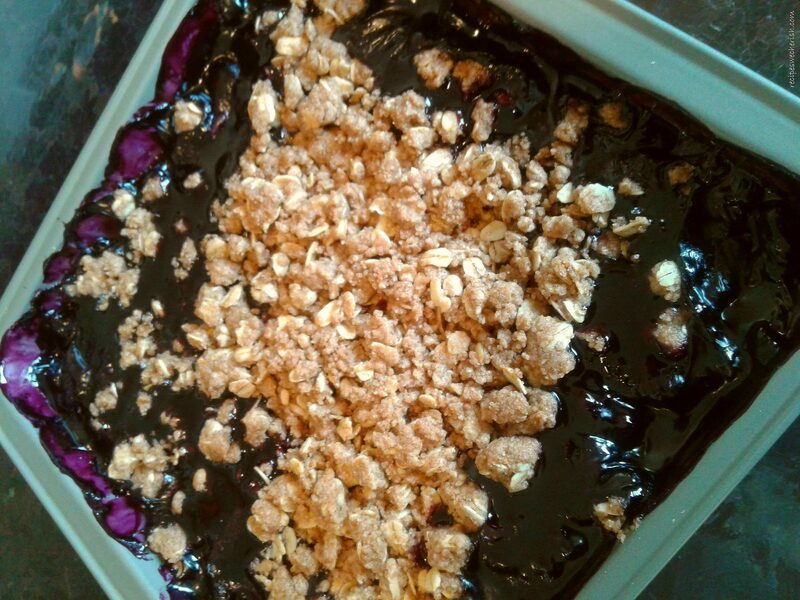 Spread blueberries on the bottom of a 8×8 square baking dish. Sprinkle the lemon zest evenly over the berries. Combine water, sugar, and cornstarch in a small sauce pan and stir until the cornstarch has dissolved. Boil over medium high heat until the mixture is thick and turns clear. Stir in the lemon juice and vanilla. Pour the mixture over the berries and mix well. Combine the flour, oats, brown sugar, and salt in a mixing bowl. Melt the butter in a sauce pan and pour over the flour mixture. Stir until the mixture is crumbly. Sprinkle evenly over the berries. Bake for 35 minutes until the berries is bubbly. Remove from the oven. Serve warm with vanilla ice cream as desired.